The UK stands to lose one of its flagship pharmaceutical manufacturing facilities with the recent announcement that Sanofi-Aventis' site in Dagenham, Essex, is to close by the end of 2013. 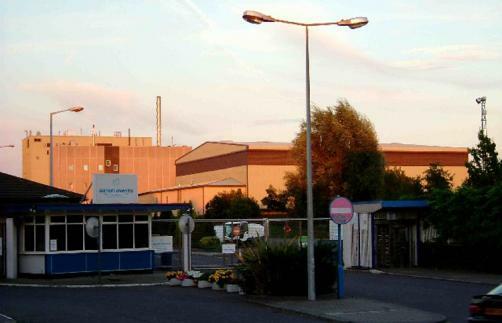 Site director Laura O'Brien told Pharmafocus that the news is very sad, particularly as Dagenham has been an operational pharmaceutical production facility for 75 years. The decision was taken because of a "significant decline" in demand for the drugs made there. Sanofi had looked into the option of selling the plant but concluded this was not feasible as most of the equipment it houses will be moved to new locations within the Sanofi-Aventis manufacturing network. Dagenham's main products were the cancer drugs Taxotere (docetaxel) and Eloxatin (oxaliplatin), along with some smaller products such as the iron deficiency anaemia treatment Ferrlecit (sodium ferric gluconate), which is not sold in the UK. Manufacturing of the cancer products is due to transfer to Sanofi’s facility in Frankfurt, Germany, with the first of around a dozen production lines due to be dismantled and shipped to its new home in early 2011. The remainder will follow in a phased handover between then and the end of 2012, said O'Brien. Production of some products, including Ferrlecit, will be transferred to Italy, she added. O'Brien said the site employs 457 staff, all of whom stand to lose their jobs although there will be some opportunities to move within the company. Some employees may be able to transfer along with the products they were working on, she added. "Our priority will be to help our employees through this difficult period and we will continue to maintain our own high standards as we plan to transfer our manufacturing,” said O'Brien, noting that, at the very least, the workforce has up to three years to adjust to the situation and seek new employment. O'Brien said the site management team is also working with the local authorities to try to develop a regeneration plan for the Dagenham site.